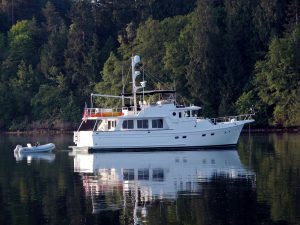 In their blog he Youngbloods tell us the full story of “Mystic Moon” and her crew from British Columbia to the Pacific Ocean, and they are now in… Japan, preparing for their next passage from the Northern tip of Japan to Alaska along the famous Ring of Fire. 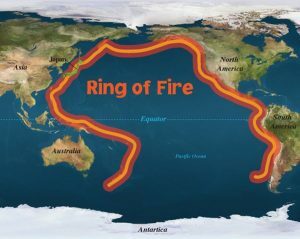 The Ring of Fire is a major area in the basin of the Pacific Ocean where many earthquakes and volcanic eruptions occur. In a 40,000 km horseshoe shape, it is associated with a nearly continuous series of oceanic trenches, volcanic arcs, and volcanic belts and plate movements. It has 452 volcanoes, more than 75% of the world’s active and dormant volcanoes. 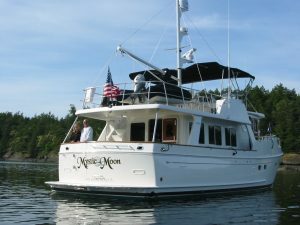 After some technical preparation on their Selene 53, careful weather planning and some tedious paperwork because of a new Japanese customs regulation requesting now a list of ten ports in Japan, the crew of “Mystic Moon” is ready to go! 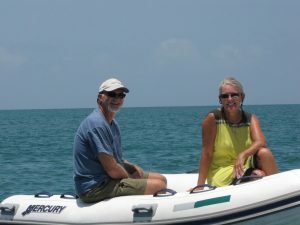 Their plan is to leave for the 207 NM run from Hakodate to Kushiro where they should arrive on Wednesday, 23rd. 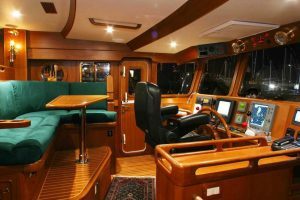 Another Selene captain will meet the crew there for the next leg from Kushiro to Petropavlovsk in Russia, A 900 NM and 5-day passage.